While just three simple words, many people won’t or can’t say them. How could that be? 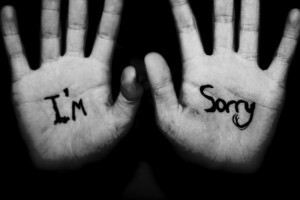 For some people saying “I am sorry” is almost impossible to do. For these people apologizing is frightening and may be based on their own insecurities and self-doubt. Rather than confronting their own fears, they consciously protect themselves while injuring their relationships with friends, family and co-workers. The reasons to avoid offering an apology are many, but fear is the common culprit. One fear is that by apologizing to another, you will open up your personal “Pandora’s Box” which will expose your other failings and mistakes. It seems that this self-disclosure will only increase the anxiety and fear that you are trying to avoid in the first place. Thus, it is better to not say that you are sorry, even if you are wrong. Sound familiar? Shame is another emotion to be avoided by some. By owning up to a mistake, the aftermath is shame and that hurts a lot. 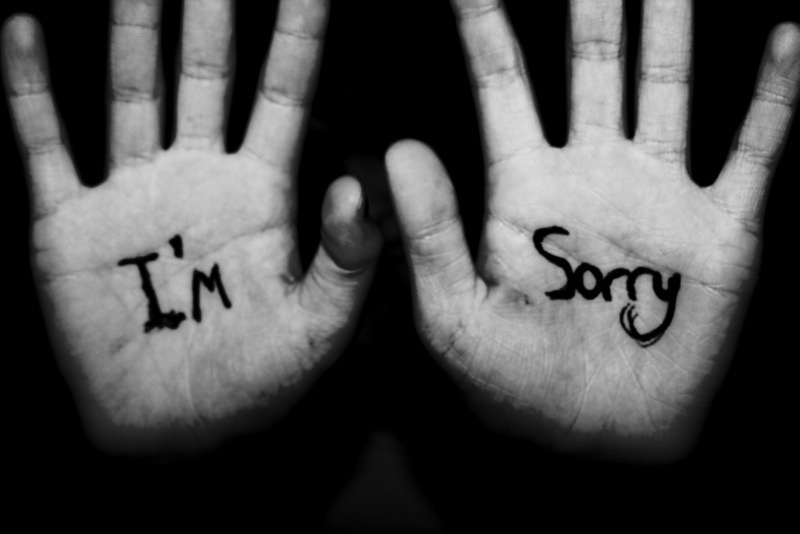 It hurts because admitting that you made a mistake and apologizing seems to mean that you are a bad person. In truth, good people will make bad choices. These bad choices won’t define your character unless the poor choices are habitual such as lying or have extraordinary consequences such as physical abuse. The fear of shame is deep seated and can come from early childhood experiences. Thus, by avoiding the responsibility for your poor choices and not apologizing for them, you can stay in control and regulate your emotions. The flaw in this thinking is that apologizing will lead to bad feelings. In fact, the opposite is typically true. It may take some bravery to step up and take responsibility for your actions; yet, it can be very therapeutic to say that you are sorry. The follow on wave of emotion after an apology can include an incredible sense of relief and provide the platform for better decisions and healthier relationships in the future. Made a poor choice? How about you say that you are sorry? You will feel better for it. This article reminded me how important courage is to maintaining good character. Lies happen if you have fear, trap you, and risk your character while always being honest builds your character, respect, and trustworthiness. Thanks JJ!